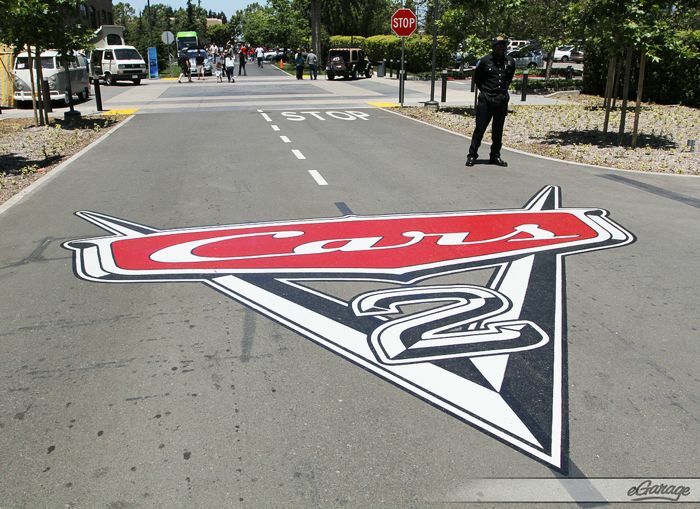 (Emeryville, CA) June 24th, 2011 marked the release of PIXAR Animation Studio’s latest feature film, Cars 2. 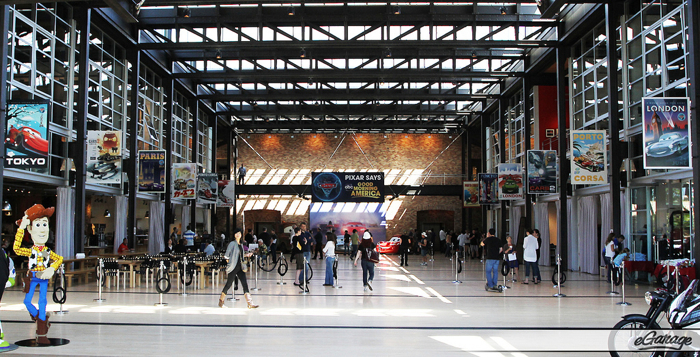 PIXAR celebrated the day with their 11th annual Motorama – an employee/ family friendly car-centric event held at their Emeryville, CA campus. 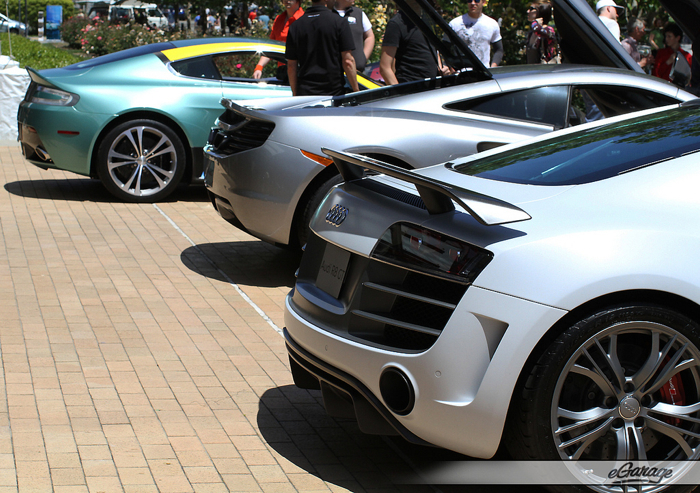 eGarage graciously accepted an invitation to attend and showcase a couple of cars at the event. The morning started off early with none other than ABC’s Good Morning America hosting their show in the atrium of PIXAR’S main building. 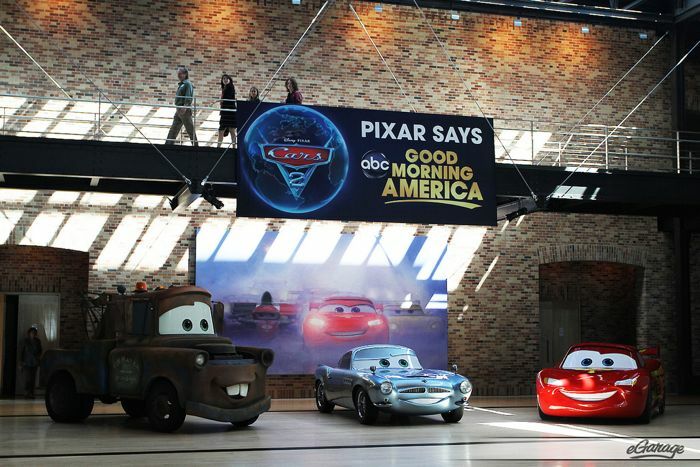 Featured were three full-size models of the main characters from the movie, (L to R) Mater, Finn McMissile, and Lightning McQueen. 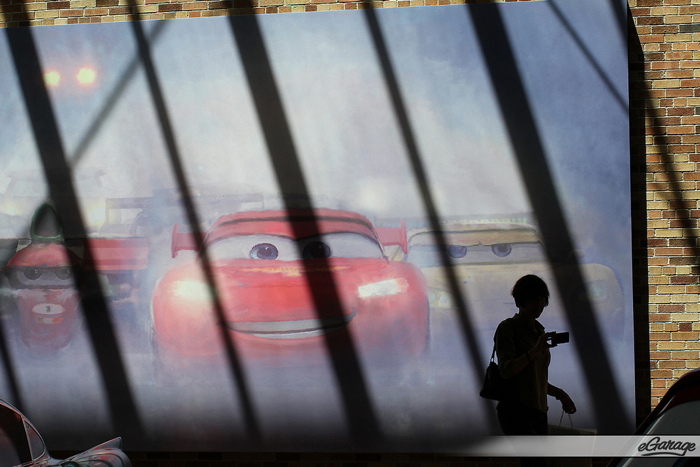 PIXAR celebrated 25 years of animation in 2011 with the release of its twelfth feature film, Cars 2. 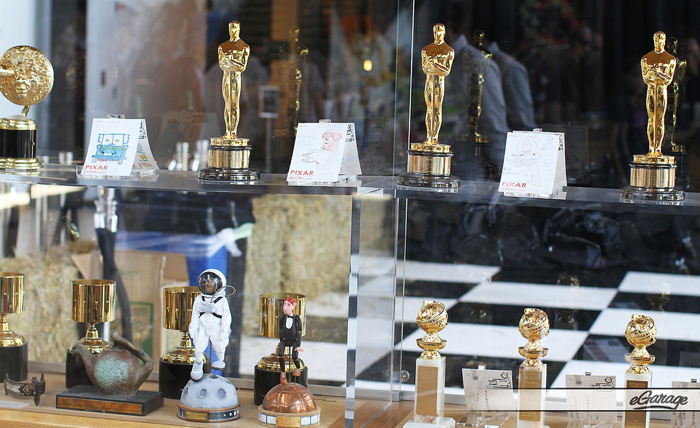 Over that 25 year history Pixar has had over a dozen cinema releases and has won just about every major award in the film industry across the entire planet! 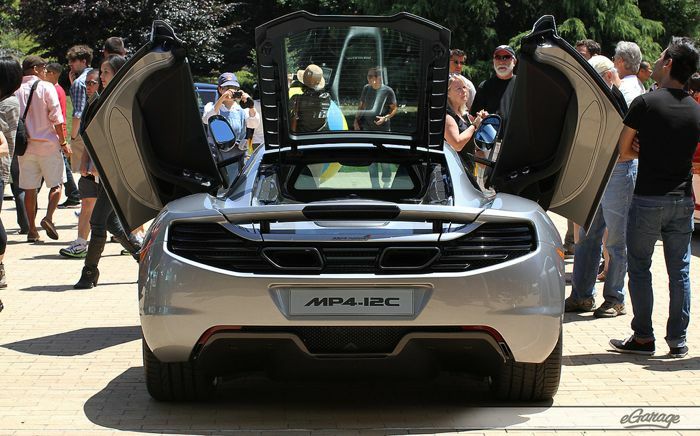 A full range of Automotive manufactures were present at the event showcasing their latest models including McLaren’s MP4-12C, Bugatti’s Veyron Grand Sport, Aston Martin’s Virage, and Audi’s R8 GT amongst others. Needless to say it was a sensational gathering. It’s not often that cars of such a high caliber are brought together outside of an industry auto show. PIXAR put together a great movie that appeals to future auto enthusiasts as well as full-grown gear heads. Cars 2 features Formula 1 world champion Lewis Hamilton, clearly showing that director John Lasseter means business when heading his most recent project. This is the first full-length animated movie to target the world of Automotive. 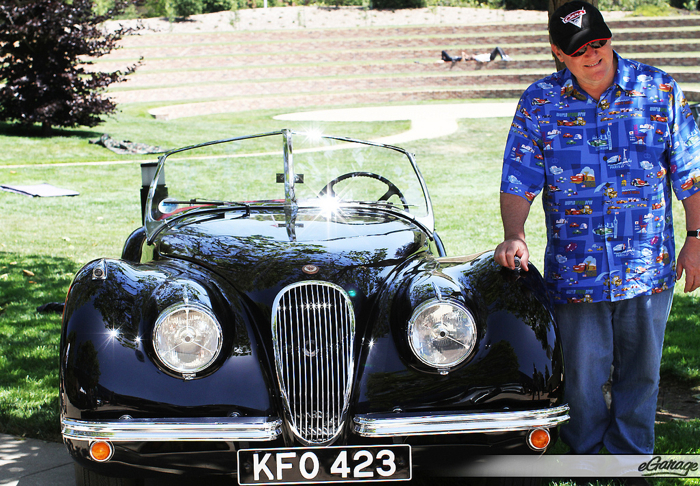 Here is PIXAR’s Chief Creative Officer John Lasseter, acclaimed Producer and Director of Cars 2 with his own prized jaguar. PIXAR’s campus is a world class facility- the newest/more modern building is filled with natural light. We weren’t allowed to take photos. 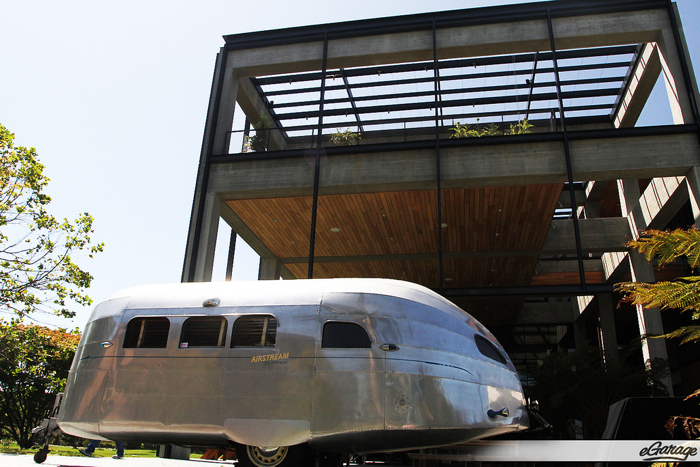 This particular modern structure has a James Bond feel with secret passage ways, revolving doors and, at the Motorama; a sweet airstream parked out front! 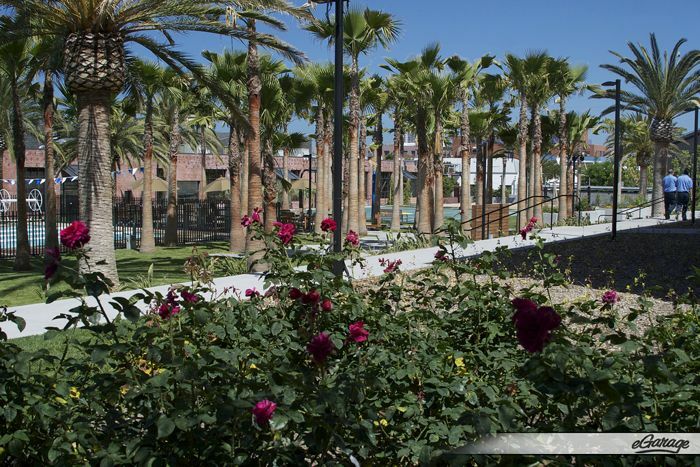 Other cool PIXAR Features, are the gym/sports facilities in the garden which include a full-sized swimming pool and a volleyball court, some employees have recently dubbed the pool area as “Little Dubai.” Employees appropriately call PIXAR “The Dream Job”! 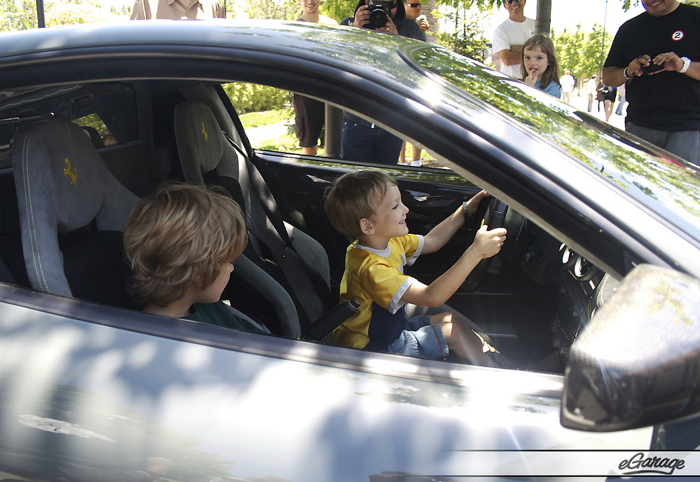 One of the best things about being an exotic car owner and being a part of the eGarage team is having the ability to allow kids and younger people to see our cars up close. These two brothers (huge PIXAR fans) knew everything about Ferrari’s current model line-up. The greatest moment of the day came when I watched a father and his son talk about the Bugatti Veyron, its reputation and its elegance. Bugatti’s representative Butch was inviting as usual. Images like this one make me feel as though I have captured a real moment not just a good picture. Between the new movie, world-class cars, and a spotless campus, PIXAR’s 11th Motorama was nothing short of a phenomenal event. The weather was perfect, people more than friendly, truly a time to appreciate the passion we at eGarage and the rest of the automotive world share.